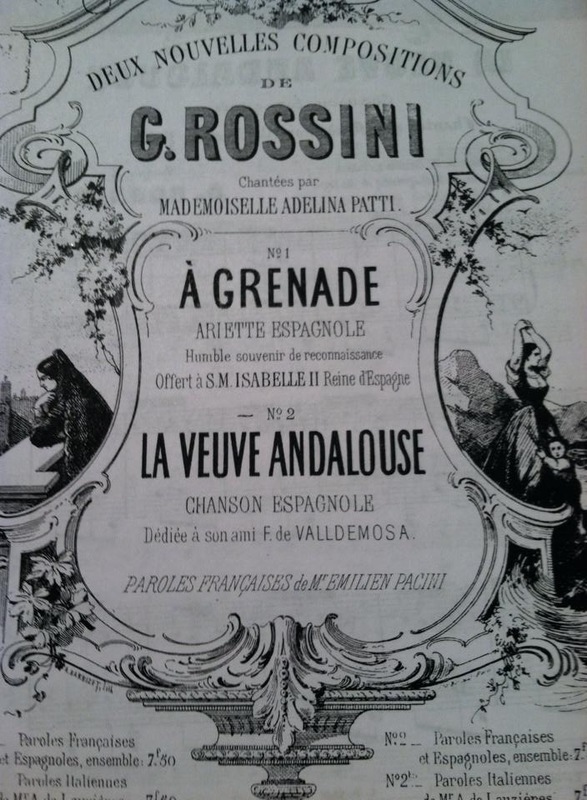 When I first started my search of songs by G. Rossini that where themed either by text, rhythms or dedications to Spain, I found in my Belwin Mills Edition a song called “La veuve andalouse, chanson espagnole”. Although recorded recently by the Italian mezzo and Rossini virtuoso Ana Bonitanibus in the French, my friend the Mexican mezzo Carla López Speziale had recorded the version in Castilian of this piece back in 2004 in her album Soirée Musicale: Canciones de Rossini with pianist Sergio Vázquez (JBCC 098). In 2012, this song was firmly in my program Rossini and Spain, which I did in Malta in 2012. 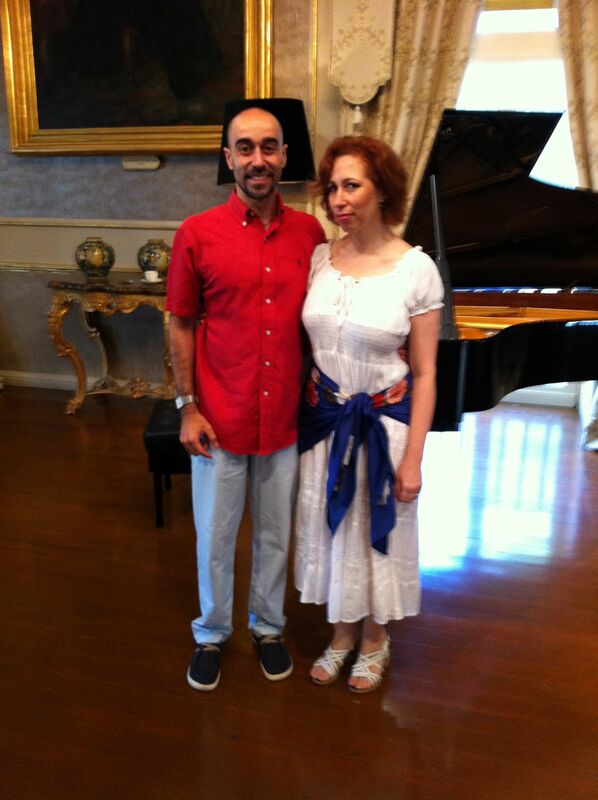 Emilio and I at the Museo del Romanticismo of Madrid, where we first performed the recital and project “Rossini and Spain”. Lacking the edition with the Spanish text, at first I took the words directly from the libretto of Carla’s album Soirée Musicale and superimposed it on my French edition. While I was in Madrid in June of 2012 and before going to Malta for the concert, I went to the Royal Conservatory of Madrid were my colleague and pianist Emilio González Sanz teaches. In the conservatory they had an antique edition of La veuve andalouse, which I was unable to photocopy because of its fragile condition. This antique edition had this songs as No. 2 of a set of two, entitled Deux Nouvelles compositions. Although the French version, with text by Emilien Paccini, has the title as La veuve andalouse, the Spanish title is slightly different, La viuda de náufrago or “Widow of the drowned man”. 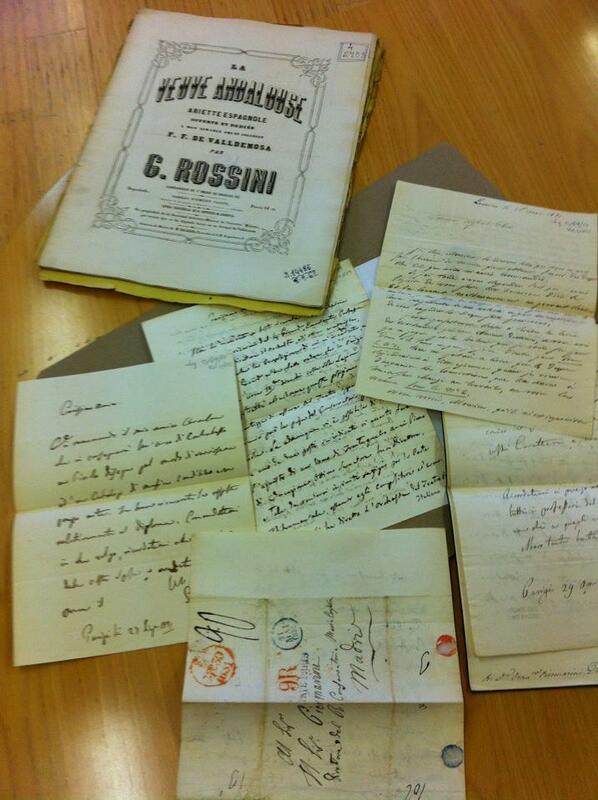 This edition is among the many things the library at the Royal Conservatory in Madrid has pertaining to Rossini, including original letters in his own hand writing and two small original compositions. One of the hidden anecdotes of history is that Rossini was asked by Mstro. 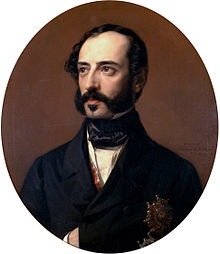 Piermarini, one of many Italian musical personalities in Spain that worked for various noble families as well as in the Royal Palace (he was one of the voice teachers to the royal house in Spain), via the Spanish Queen Maria Cristina, to inaugurate the newly formed Royal Conservatory of Madrid. Edition of “La veuve andalouse” and various letters written by Rossini from the library archive at the Royal Conservatory in Madrid. de aquella prenda de mi amor? mi bien amado en tu furor? ¡Ah! Dónde va su quilla? fruto del amor y el dolor. tu infantil mejilla ya no gozará. ¡Ah, todo acabó, todo murió! with that sweet love of mine? my beloved with all your furor? where now goes its keel? Never more will it return! am I wrong in what I think? Ah, fatal sea that you are. that will be the end of me? an orphan you have become. Ah, all is done…all is dead! 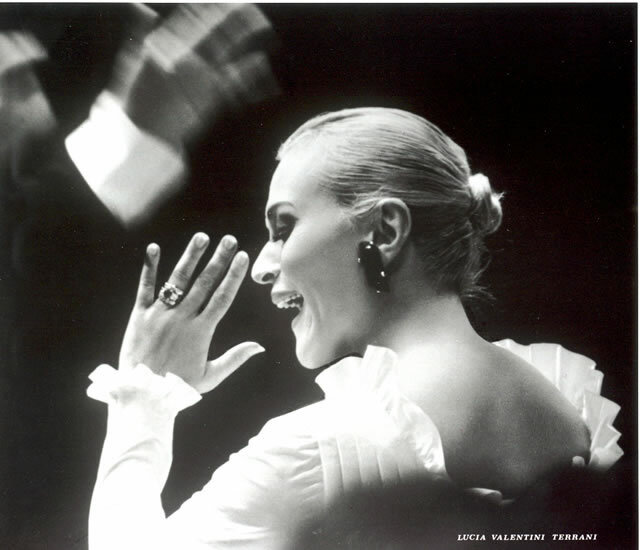 The song is virtuosic and difficult; it is set up as dramatic “scena” for a mezzo with great high notes and coloratura. The piano part has difficult rapid scale and triad dissonant passages that use almost the whole range of the piano, with dissonances and quick changing character that mirror the grieving widow. Over 6 minutes long, its a test of endurance and range for both the pianist and singer. Its also a show stopper and great piece. Joining my friend Carla’s recording, Ms. Bonitanibus as well as Marilyn Horne (RCA) and Vivica Geneux (EPCASO) recordings of the text by Ventura de la Vega of “A Granada”, my version with pianist Emilio González Sanz is featured in my upcoming disc España alla Rossini which is slated to come out with iTinerant Classics this coming April of 2015. 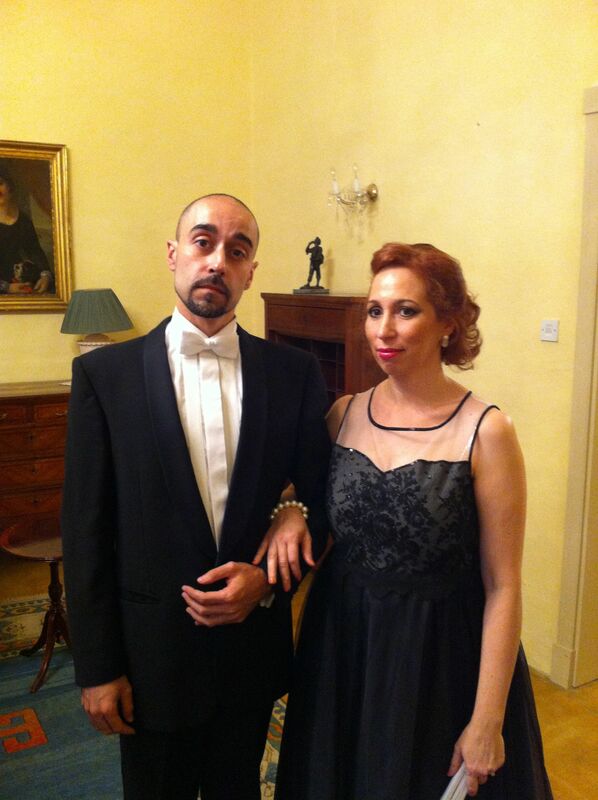 The sound disc España alla Rossini began as a cool recital idea that I had: in 2012 I had the enormous fortune of being invited to sing at the presidential palace of the Republic of Malta, a gracious invitation extended to me by the then president of this country (and the country of my grand parents) His Excellency George Abela and his wife Mrs. Margaret Abela. It was a dream come true to visit Malta, and more so to do it under such an auspicious occasion…I wanted very much to do a special program, one with personal meaning that would speak to me and in turn create a special atmosphere at the event. I began a small investigation of the repertoire for this concert, which united two of my loves: the music of Gioacchino Rossini and the musical culture of Spain. 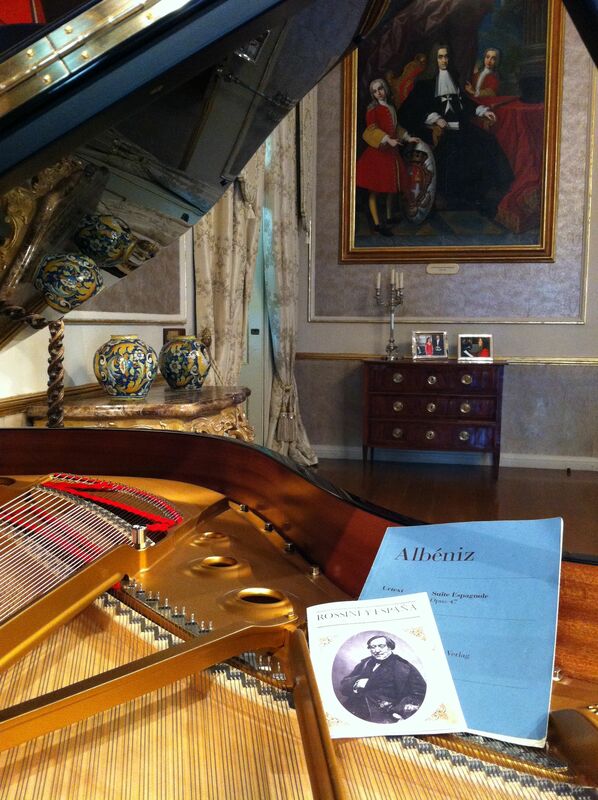 Emilio and I rehearsing at the San Anton Palace in Valetta in June of 2012. 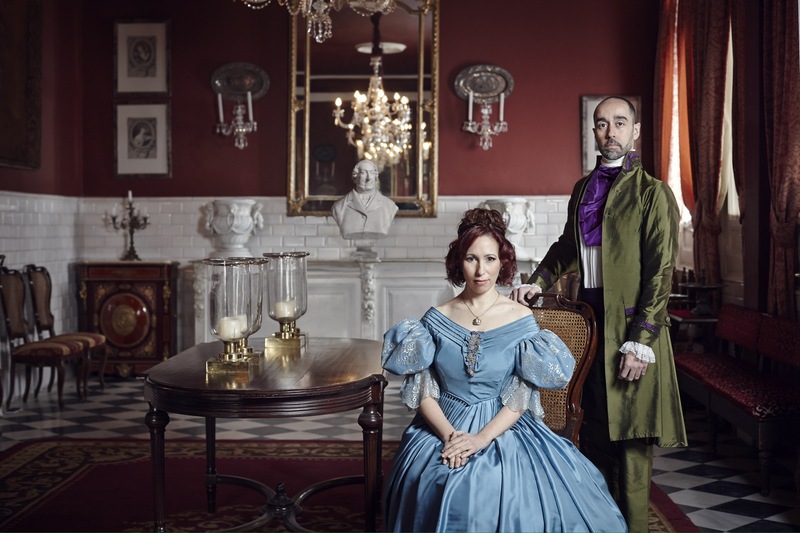 Maltese-American mezzo soprano ANNA TONNA and Spanish pianist EMILIO SANZ GONZÁLEZ debut their new musical venture: a program of songs and piano solos that narrate Rossini’s fascination with the country of Spain. 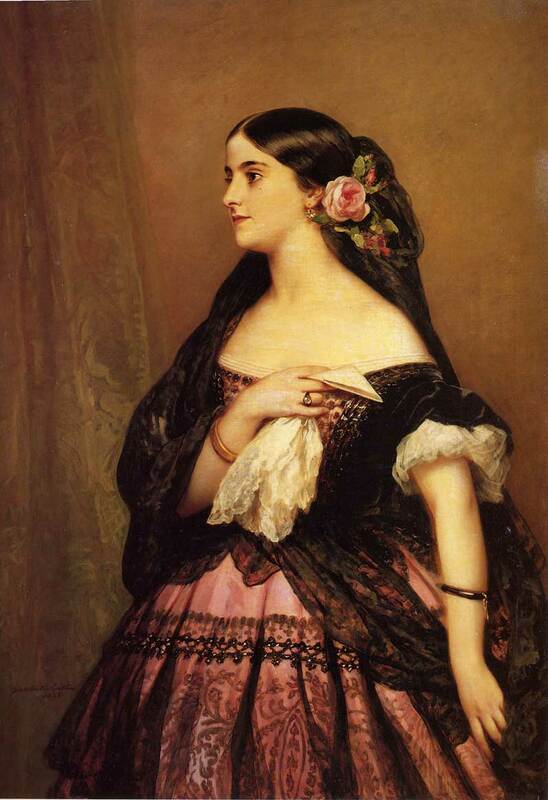 Rossini’s personal relationships with opera’s most prominent family of the 19th century, The Garcías (Manuel García, Maria Malibran and Pauline Viardot-García), Rossini’s marriage to the Spanish diva Isabella Colbran, as well as his close friendships with the notable Spanish personalities such as the Dukes of Alba planted the seeds for his love of the rhythms and songs of Spain, with his usage of the Tirana, bolero and the Seguidilla in his numerous musical compositions. 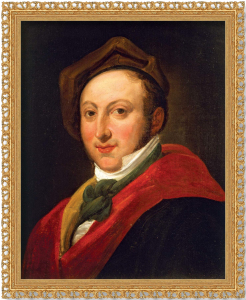 Rossini was not unique in his love of all things Spanish: the Grand Tour helped to popularize Spain and increase her mystique among travelers and tourists of the early 19th century. Numerous books such as George Burrough’s The Bible in Spain and Gustav Dore’s engravings, together with the numerous Spanish musicians and dancers such as the Garcias that were performing in Europe’s capitals helped to popularize late 18th century Spanish dance and song known as Escuela Bolera. Among the public was the ambassador of Spain, the newly appointed American Ambassador as well as numerous persons from the Maltese cultural life. I also had the pleasure of meeting for the first time family members that I continue to this day to be in touch with, as well as having the immense honor of the president hosting a family dinner at the presidential palace in mine and Emilio’s honor. The concert was pronounced a success by several reviewers and most importantly by the listeners. 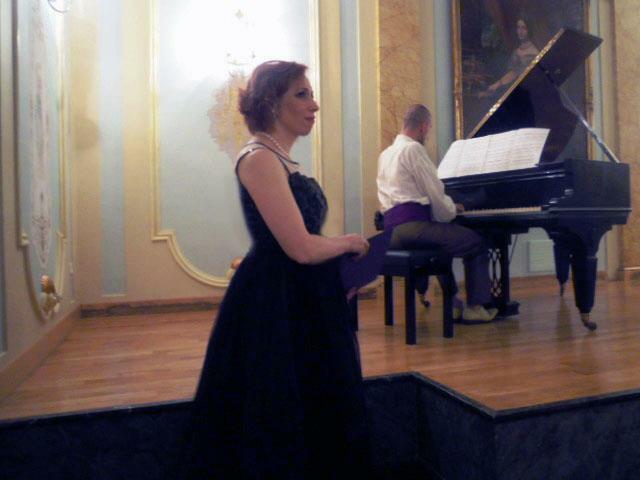 I wanted to further honor Malta in this recital, and as an encore Emilio and I performed a cantilena aria by the Maltese early 19th century composer Nicoló Isouard from his opera Paul et Virginie. 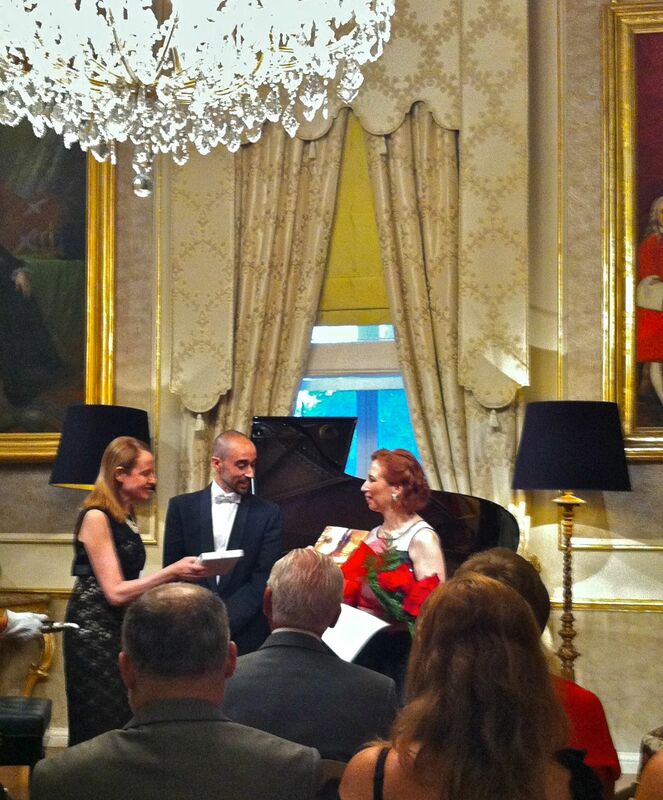 Emilio and I receiving gifts and congratulations from First Lady Mrs. Margaret Abela at the St. Anton Palace in June of 2012.